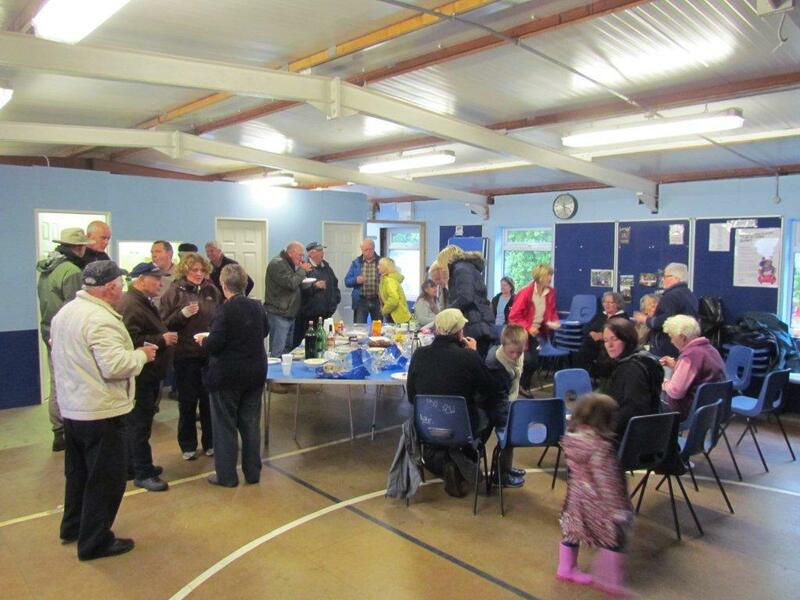 The Autumn Equinox announced it’s arrival at the weekend in some style as we awoke on Sunday morning to gale force winds and torrential rain, timed neatly of course to coincide with the plot barbecue. Derek wandered over to the site at lunchtime convinced it would be cancelled but allotmenteers are a hardy lot and of course with a few adjustments it went ahead as planned. 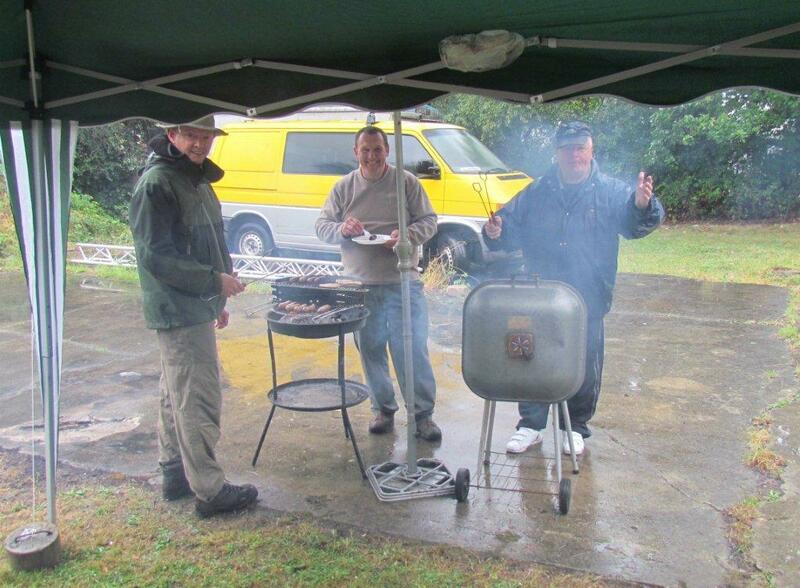 Here are our chefs for the day, Chairman John and his wingmen Derek and Steve manning the grills whilst everyone else very sensibly sheltered in the scout hut. As usual Janice and Maureen did a fantastic job at organising everything and put on a delicious spread. Many thanks to Dai Bevan who took these pictures for this post. You can’t beat the Great British Barbecue! Is the gazebo still there, or did it relocate to Scotland? Temporary gazebo, all packed away now. Ah the great British summer I remember it well, I mourn it`s passing will it ever return, actually I blame my wife Judi, we have not had a good summer since she retired nearly five years ago, if this run of bad summers is going to continue I may insist she return to work. I feel really cheated this year weather wise. Here’s hoping it’s a short winter.